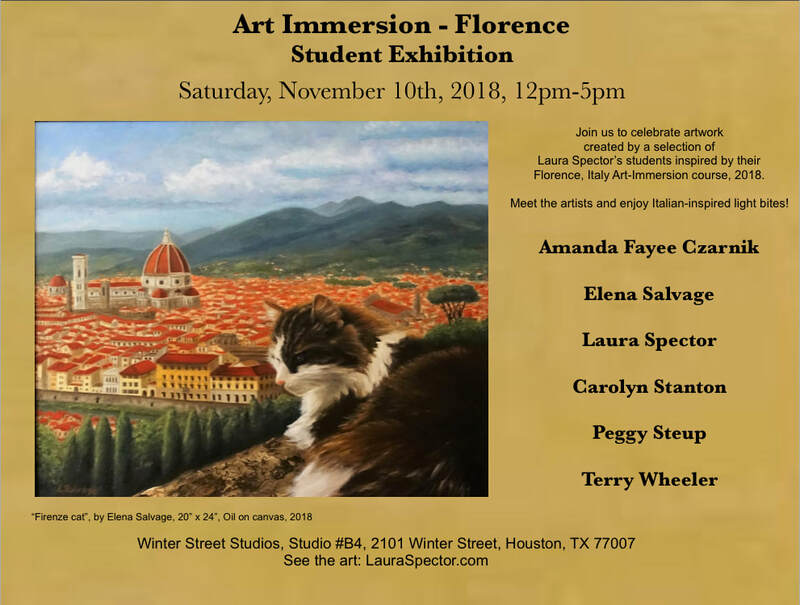 Art Immersion Florence, Italy 2018, included instruction in plein air (outdoor) painting, drawing from sculptures and museums at various museums, studio visits with local artists, a lecture/tour by Michealangelo scholar Joan Reifsnyder, a tour of the Florence Art Academy and lots of amazing food, wine, and adventures. A final project was assigned to students who wished to continue their art-making adventure upon their return home. They created original works of art based on experiences and memories influenced by our art immersion in Florence. Their results are beautiful. As an instructor of students starting at a variety of different levels of art-making experience and testing out new materials, I'm very excited to share their results!